Canon EOS650D is High Quality, entry Level. It is First Choice for Those who want to start Their DSLR Adventures. Specifications of this Camera is Below. 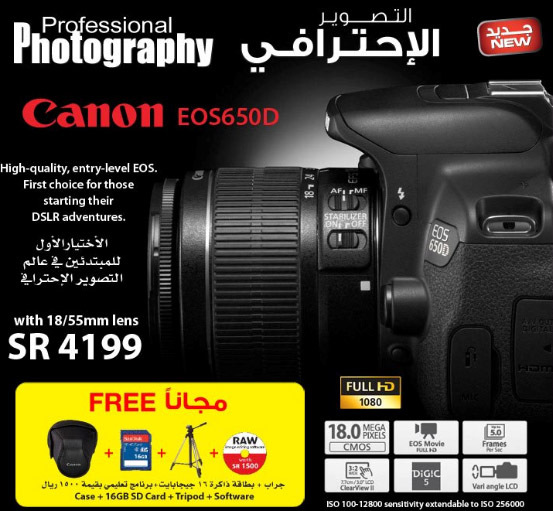 This Offer is Available only in Saudi Arabia and Valid till Stock Lasts.